George and John Lee Scott founded the Scott Brothers Atlas Engineering and Manufacturing Works which covered one acre in Manchester Street. The chimney, 80 feet high, was the tallest in Christchurch. In 1885 one hundred hands worked at the plant. When trains were introduced to New Zealand in the 1860s, the locomotives were imported. In the 1880s the government decided that the machines should be built in the colony. 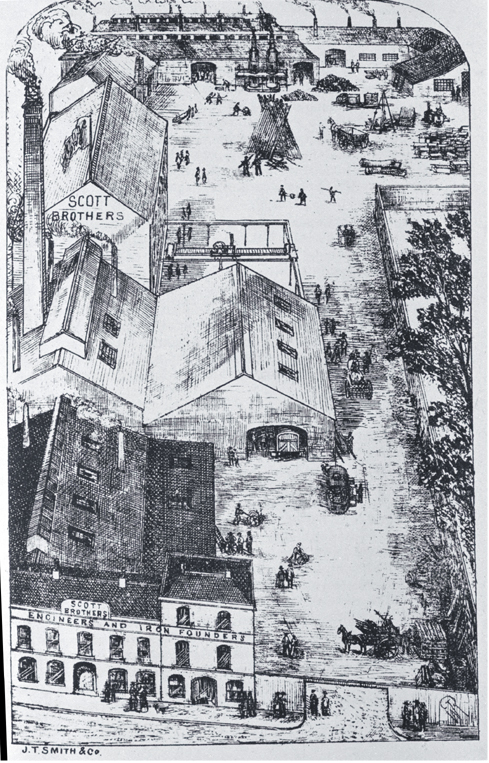 Against stiff opposition, Scott Brothers, succeeded in capturing the contract.